Aging in place is the living situation of choice for the vast majority of seniors. Among adults age 65 and older, 87% say they want to remain in their current home and community as they get older. But for many, physical limitations caused by injury, illness or the process of aging make it difficult to continue living alone without help. Families often feel trapped between watching a loved one struggle to meet basic needs at home or moving them into an assisted living community or skilled nursing facility. Home care offers an alternative solution that allows seniors to remain at home while also providing necessary assistance with the activities of daily living. For many seniors, it’s an ideal solution that secures the help they need through a qualified professional home care agency without threatening their independence. Even though home care allows seniors to remain at home, many still feel concerned about asking a caregiver to help. They may feel like this is the first step toward total loss of independence, or they may think their family is pressuring them into accepting help they don’t need. Many seniors also struggle with a perceived loss of privacy and freedom. They may have questions about what the caregiver will do, whether he or she will respect boundaries and personal space, and whether they will have a say in what the caregiver does while in their home. Some seniors also have an inherent distrust of strangers, especially in the case of someone with Alzheimer’s disease or dementia. One of the best ways to address these concerns is to involve the individual in the planning process as much as possible. Most people feel more comfortable discussing home care when their concerns are heard and they feel that their opinions have contributed to the final decision. Because that’s the case, it’s important for seniors and their families to understand the benefits of home care and how it can support independence so they can remain at home as long as possible. Caregivers offer assistance with daily hygiene (bathing, washing hair, etc. ), dressing, toileting, and incontinence care.These tasks may require the help of a caregiver for just a few hours each day. After a hospital stay or an illness, many seniors experience reduced capacity for more strenuous housekeeping like vacuuming, changing bed linens, and doing laundry. Home caregivers can assist with these tasks as needed. Driving is a significant barrier for seniors as vision, reflexes, and motor skills begin to decline with age. A professional caregiver can assist with transportation to doctor’s appointments, trips to the grocery store, and other errands. Many older people struggle to meet daily nutrition needs, especially if they have difficulty getting out to the grocery store or preparing meals. Home caregivers help plan and prepare meals, make sure the refrigerator and pantry are stocked, and monitor nutrition intake. Caregivers can also offer medication reminders, ambulation and transfer assistance, mobility assistance, and basic safety and fall prevention. 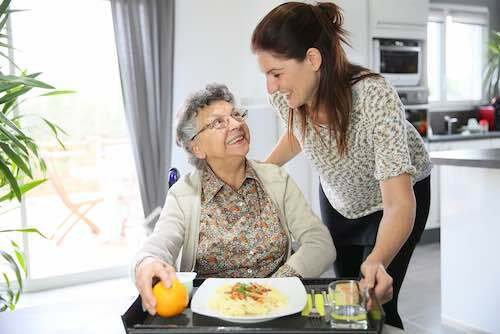 While seniors may fear loss of freedom and privacy with home care, the reality is that working with a home caregiver is one of the best ways to help elderly people retain their independence at home. Professional caregivers promote safety and reduce the risk of falling by assisting with mobility and ambulation, and they encourage healthy lifestyles that include nutritious meals and reasonable exercise. With the help of a caregiver, seniors can continue to participate in favorite activities or social outings which they might otherwise be unable to manage. They also enjoy regular companionship which can stave off loneliness and feelings of isolation. Age-related changes such as reduced physical abilities, increasing fatigue, and difficulty performing routine tasks can be stressful and frightening. Home care promotes higher quality of life among seniors by supporting their emotional well-being and social connection as well as their physical care. 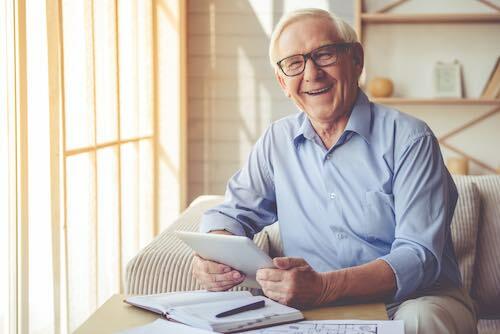 Remaining in comfortable, familiar surroundings may make other lifestyle changes easier to handle, and home care offers an ideal way to keep seniors safe and healthy at home.